Homeless people in Portland Oregon are stuck in a cycle of homelessness between unaffordable housing and unaffordable healthcare. lack of affordable and accessible healthcare. Since Portland’s popularity boom and gentrification over the last decade and a half, prices in the city have skyrocketed. If you’re not already in a rental struggling to pay your monthly rent, getting into one is near impossible. With rents priced anywhere from $1500-$2000 in the city a person would need to make nearly $30 an hour to not be rent burdened in Portland. “Affordable housing” is spending no more than 30% of a household’s monthly income on housing costs. If you pay more than 30% you are considered “rent burdened”. I live on the outskirts of Portland and I can’t remember the last time I spent less than at least 50% on my housing costs. On any given night, more than 500,000 people are estimated to be homeless in the U.S.; while millions are paying more than half their monthly income on rent and utilities. In 2017, HUD reported that more than 8 million households had “severe rent burden”. In Portland, the average rent is more than 50% of the average income. Rents are rising much faster than many people’s wages making it quite unaffordable for anyone not in the upper class. I see it in Portland but this is the story across the nation. In Oregon as a whole, homelessness among military veterans has increased 9 percent since 2017. According to HUD There are 1363 veterans experiencing homelessness across the state. Most of the wait lists for low-income housing assistance in Portland are currently closed. Home Forward, Multnomah County’s housing authority and Oregon’s largest subsidized housing with 41 properties has a wait list of 2-20 years that has been closed since 2016. The voucher program for Section-8 has also been closed since 2016, with no more than 3,000 vouchers going out since then due to a lack of funds. The last time the wait list opened two years ago, more than 16,000 people applied. Cascadia Behavioral Healthcare, a local nonprofit that operates about 500 subsidized housing units for people with mental-health and addiction problems, says that they received 300 applications in an hour after a waitlist spot opened. Wait times at Cascadia range from several months to several years for anyone applying now. Other providers of subsidized housing expect wait times of three to 20 months for anyone applying now. I work at a shelter that has 120 beds most of which are for couples. I can say that at least half of those folks, are working. Many work full-time and make more than I do! A lot of them are working in the service or some other low paying industry. Some are seniors or disabled and living on fixed incomes. Bottom line, they can no longer afford to pay rent along with basic living costs and healthcare costs. Many families I have met work in service jobs that don’t offer insurance so they are left paying the entirety of their medical bills. Many who do have insurance don’t have the money to pay the high deductibles and co-pays. This becomes a barrier to getting better. As a result, they only seek care after things turn critical. Even those with health coverage from the Oregon Health Plan struggle to get health care. Without shelter, even a common cold can be scary. It’s harder to stay warm, dry or get proper rest. Some homeless people are caught in destructive relationships or have cognitive challenges so it is hard to get them to take care of themselves holistically. Many folks on the streets hesitate to seek medical treatment for fear of being judged or discriminated against. Some lack transportation or skilled assistance. When things get bad enough, a homeless person might go to the emergency room. Because they either don’t have insurance or the money to pay out-of-pocket they never see a doctor. As a result, they tend to neglect all but the most serious ailments. Even relatively minor illnesses get worse instead of getting better. What was originally a cold or a sprained ankle has turned into something like pneumonia or a cartilage tear. What could have been easily remedied turns into an ER visit, a hospital stay and thousands of dollars of debt. That debt in turn negatively affects their credit and their chances of finding permanent housing in a decent neighborhood. It’s a cycle that’s hard to break out of. 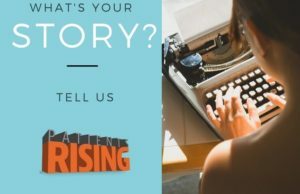 Trauma informed care means helping people heal and get through the kinds of awful things that have happened to them that put them in this position to begin with. Many who struggle with chronic homelessness do so because they are not able to heal. They don’t know how. This is my biggest challenge at work. How can I teach a young woman who was abandoned, raped and traumatized, to love herself again? How can I help an elderly woman get past the trauma of her brutal attack that still haunts her mentally and disabled her physically? The hardest part of my job is giving them reasons to hope. To help break them out of the day-to-day survival mentality. They may be working 60-hour work weeks at low paying jobs with no time for self-care. It becomes impossible to plan farther ahead than surviving tomorrow. The lack of affordable healthcare in this country puts families at risk of homelessness by leaving minor ailments to turn into major illnesses. This in turn leads to missing work or school. And medical treatment is expensive with or without insurance, so families are facing choices between medical bills and living costs like food and rent. The toughest decision a parent will have to make is choosing between buying medicine for their child who has chronic, life-threatening pneumonia or paying rent to have a home where their child can rest up and get better. No family should have to make this choice. Portland is in trouble as the temperatures drop and the crime rates rise. Illicit drugs have gotten stronger and depression is an epidemic. Those of us on the front lines fighting this daily battle are weary and desperate for more help and understanding from the community, the police and the government. 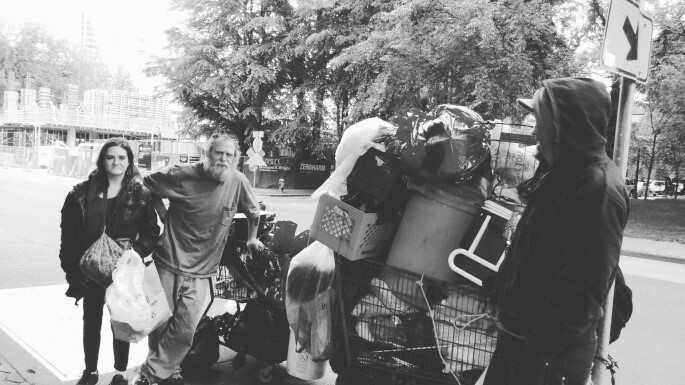 There is no catch-all cure for homelessness in Portland, or in America. However, I firmly believe that if we had affordable housing, a healthcare program for all that provided accessible, preventive care, including mental health, my job would drastically change. As a city, as a society we would see homelessness decline by a huge percent if we were able to improve affordable housing and healthcare. But I fear it is going to get worse before it gets better. 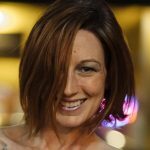 Shana grew up on the Oregon Coast but has been in the Portland metro area for 17 years now. She is currently working towards her Bachelor’s in Public Relations Communications at Portland Community College. 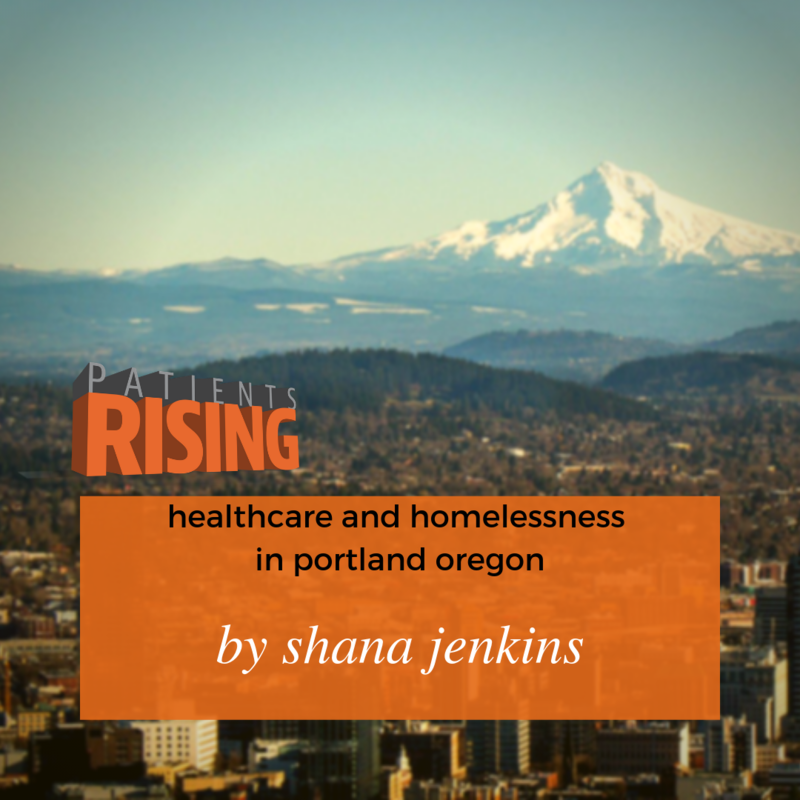 Most important to Shana is her work with people experiencing homelessness. She currently works as a resident advocate for Transition Projects, at a couples shelter where she is always learning new ways to advocate and help those most in need. When not working or studying, Shana pursues her art and spends as much time in her kayak as possible.